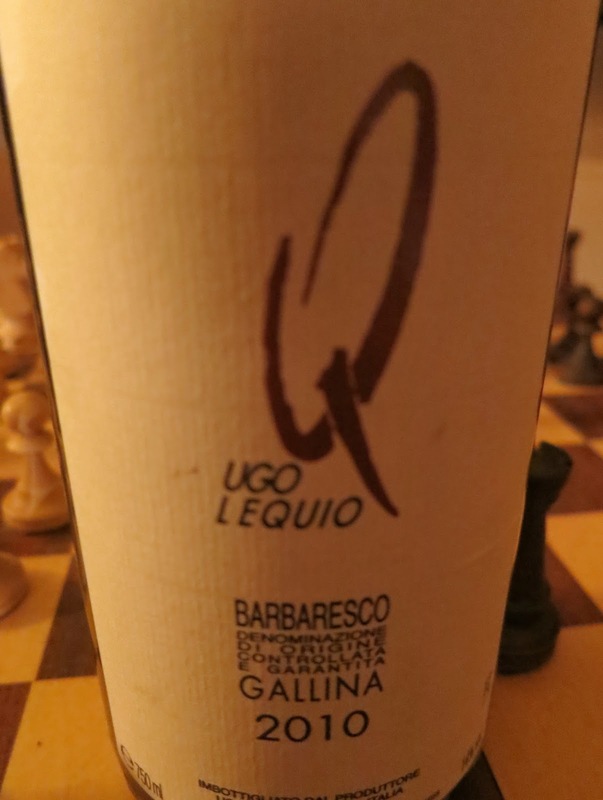 This wine comes from an old and respected "Cru", Gallina Vineyard, in the lovely village of Neive, about 1,5 kilometers east from Barbaresco. If you ever go there, I would highly recommend the Enoteca "L`aromatorio", a fantastic Wine bar/Restaurant with traditional Piemontese cuisine, and a stunning wine list. Barbarescos of Ugo Lequio are aged between 20 to 30 months in Slavonian casks, so much more than the 9 months minimum. Very transparent color, even for a Nebbiolo, but its not really a surprise because the producer is traditional, and wine has not seen new oak. Also wines from the Gallina "cru" tend to be very light in color. Nose is somewhat tight; some leather, cherries and earth. But I had a flu, few weeks back, so I could have some issues with that. First attack is beautiful; restrained, yet intense and delicious fruitiness, leather, black tea, eukalyptys. Elegant floralness. Nice accidity. It`s a young wine still, no doubt, tannins are big, but with decanting they do become smoother. Nice finish and a long, bitterish after taste, where I also got some spicy black tea. A classical Barbaresco, full of classical Nebbiolo beauty.